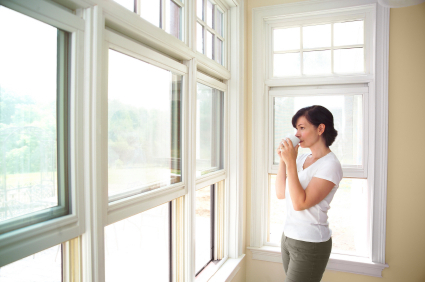 Windows dramatically affect the energy efficiency of your home and the size of your utility bills. In Texas and other southern climates, poor quality windows contribute to high cooling bills, faded carpet and furnishings, and uncomfortable "hot spots" in the house. Seasonal Energy Savings - The average household in hot climates can gain significant savings from installing energy efficient windows. Similarly, a household can expect substantial savings in cooler climates. Lower Mechanical Equipment Costs - Decreased cooling and heating demand not only saves you money, but also reduces wear and tear on heating and cooling systems. This diminishes the need for repair and replacement, and may also allow you to utilize smaller and less expensive equipment. Utility Incentives - Some utilities offer financial incentives to customers and/or contractors who install efficient windows. Contact your local utility to inquire about incentive availability and participation. For information on utility incentives and energy efficiency programs, visit TexasEfficiency.com. Product Rebates & Special Offers - ENERGY STAR® provides a lookup tool for finding product rebates and other special offers using your zip code. Improved Daylight and View - New glazing techniques with low-solar-gain low-E (spectrally selective) coatings can reduce solar heat gain significantly with a minimal loss of visible light compared to older tints and films. Larger percentages of glazing are possible through the use of these new technologies with improved clarity. Use of shading devices such as drapes and blinds that obstruct views may no longer be necessary for comfort. Improved Comfort - In summer and winter occupant comfort is increased. Window temperatures are more moderate and there are fewer cold drafts. Discomfort from strong summer sunlight is also reduced. Reducing Condensation - Frame and glazing materials that resist heat conduction do not become cold, which results in less condensation. Reducing Fading - Coatings on glass or plastic films within the window assembly can significantly reduce the ultraviolet (UV) and other solar radiation which causes fading of fabrics and furnishings.